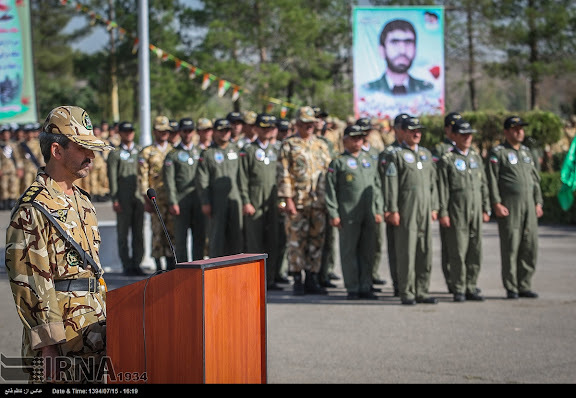 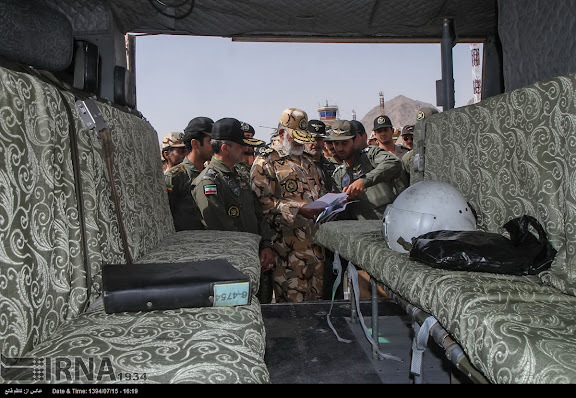 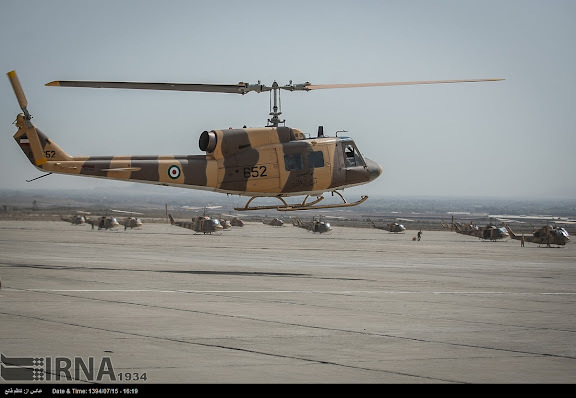 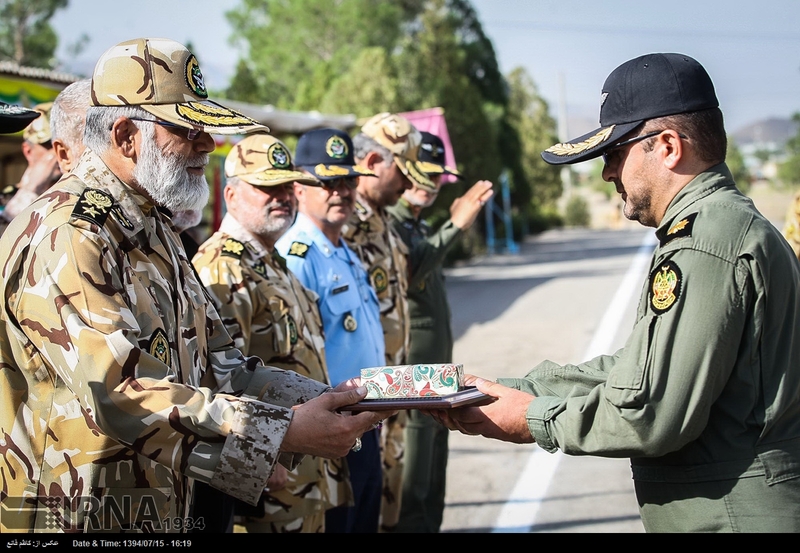 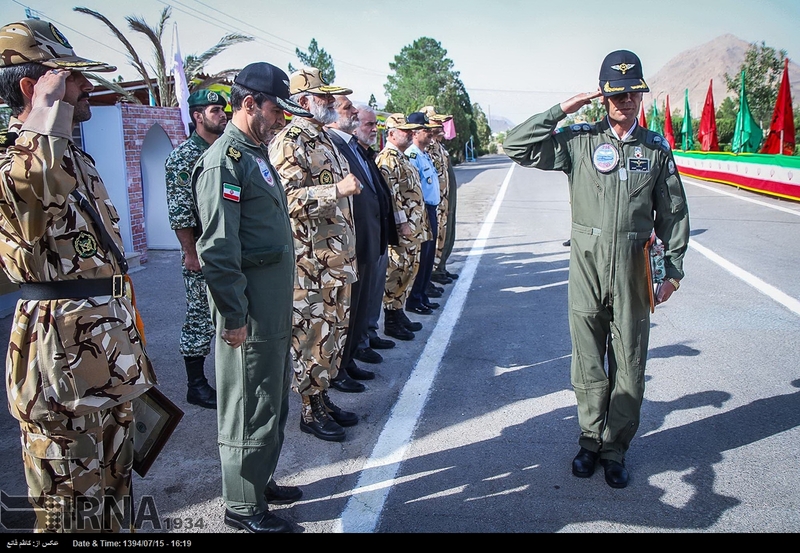 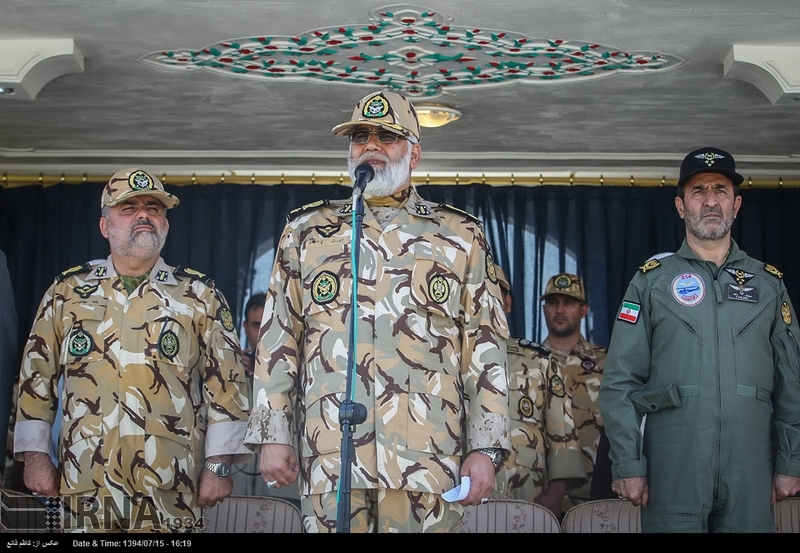 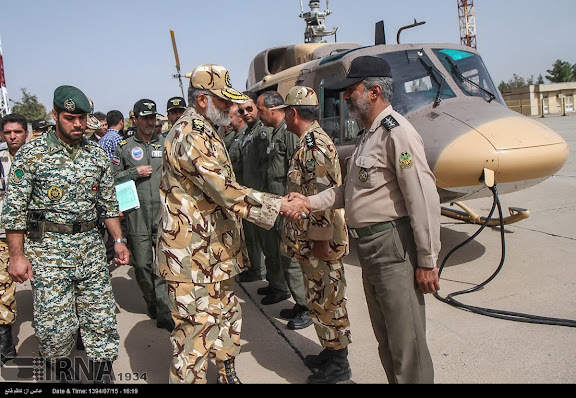 IRIAA Colonel Mojtabi Rouhani, training center commandant, addressing pilot and technician air education graduates at Shahid Vatanpour Airbase. 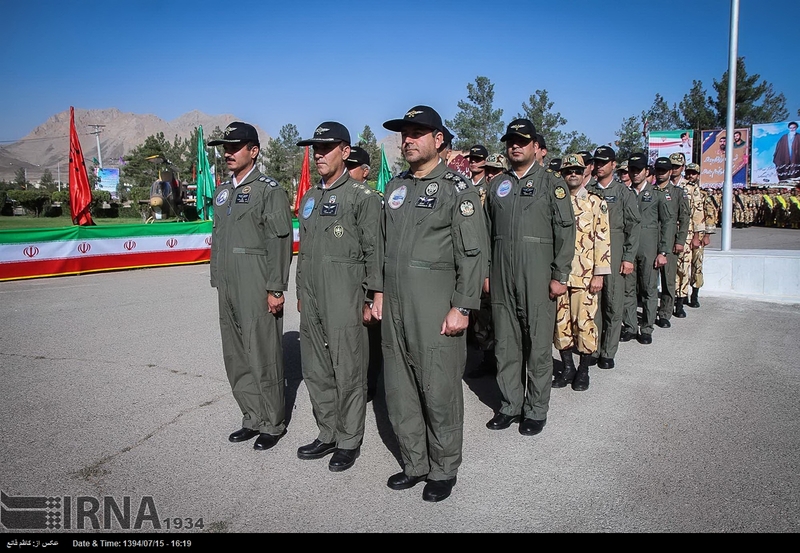 IRIAA colonels, lieutenant colonels and officers in formation during pilot and technician air education ceremony at at Shahid Vatanpour Airbase. 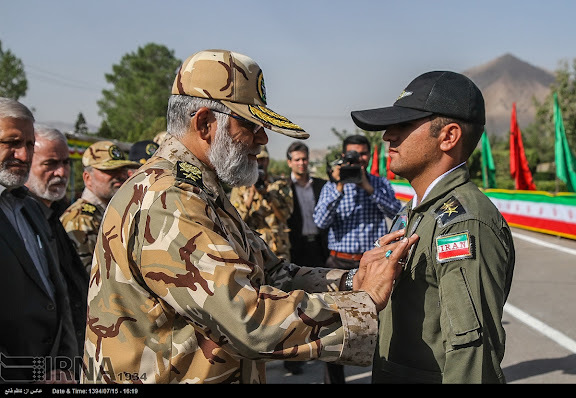 NEZAJA Commander Brigadier General Ahmad Reza Pourdastan affixing what may be pilot wings on flight suit of young IRIAA first lieutenant. 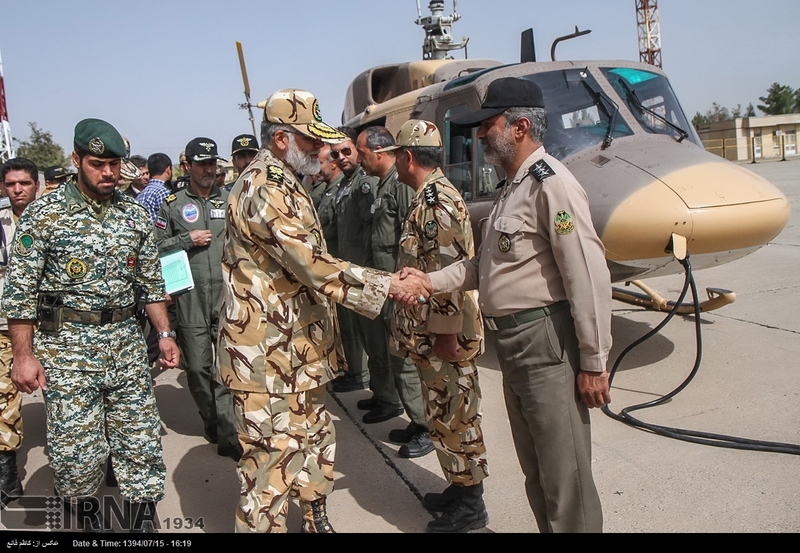 NEZAJA Commander Brigadier General Ahmad Reza Pourdastan shakes hands with IRIAA first lieutenant, likely a master technician. 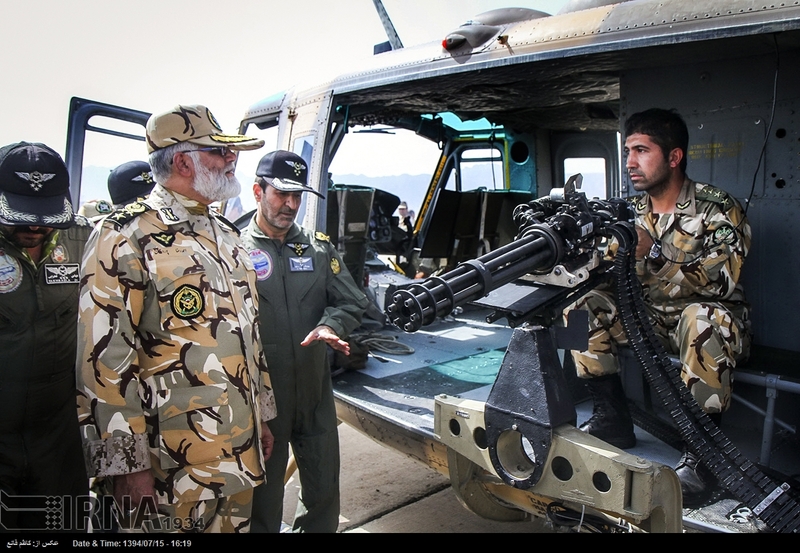 NEZAJA Commander Brigadier General Ahmad Reza Pourdastan inspects Minigun-type Gatling-style rotating six-barrel machine gun, with IRIAA captain. 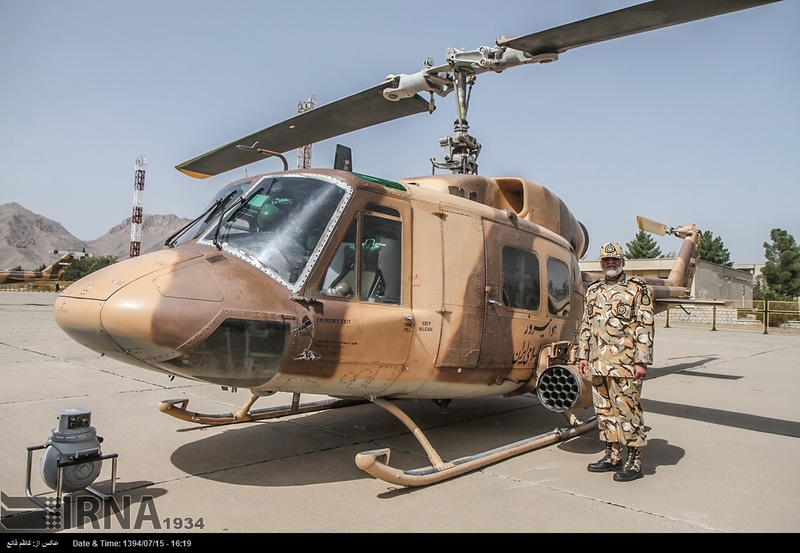 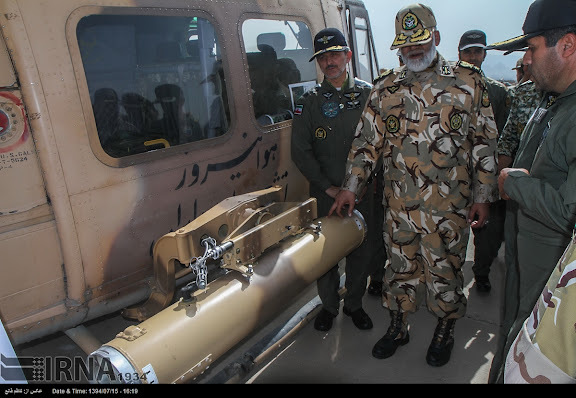 NEZAJA Commander Brigadier General Ahmad Reza Pourdastan inspects 19-tube rocket launcher mounted on IRIAA Bell 214A Isfahan, serial 6-4754 (cn 27107). Shah era equipment.And these people still pose it front of them. 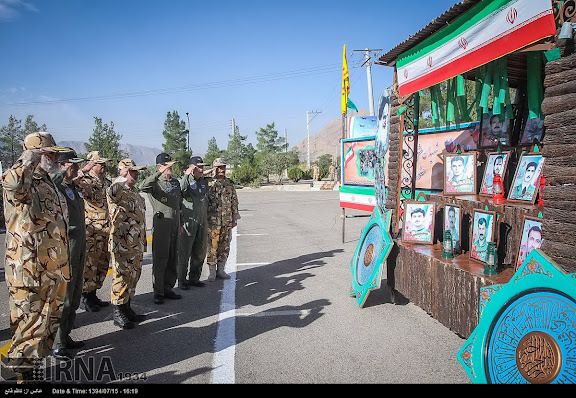 I love it how Shahid Vatanpour, who I assume is the guy in the mural in the first picture, is rocking a pretty sick unibrow. 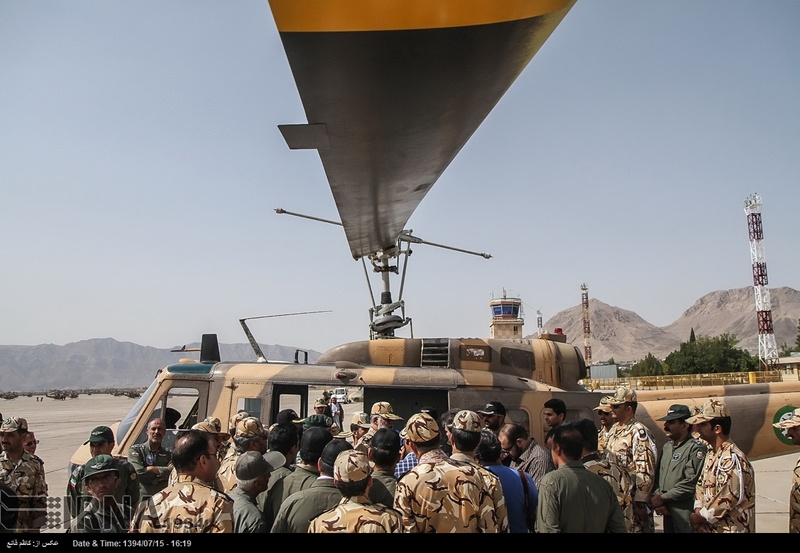 They could just as easily posed in front of later acquisitions like the large fleet of russian helicopters and transports,the whole point is that its thanks to the abilities of irans technicians and aerospace industries that a big chunk of the pahlavi era aircraft are not only kept fully operational but have been upgraded as well and is all the more impressive when one considers that there has been no spare parts or technical back up from the manufacturers for over 35 years,it also stands in stark contrast to the pgc who still need a great many western/foreign technicians just to keep their air fleets operational. How do you know they haven't had technical backup from manufactures? 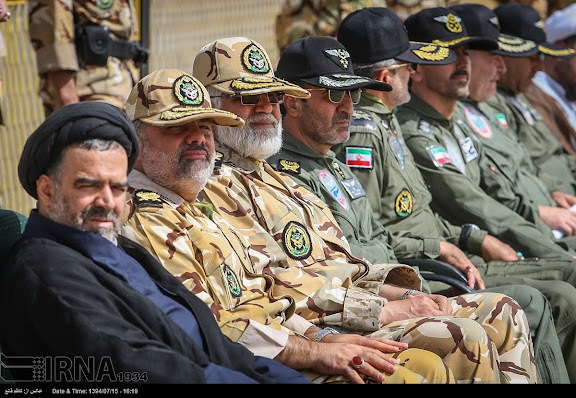 The regime has been caught many times buying spare parts from companies.Manufactures will sell anything for high price to Iran.Some western technicians with Swiss and Swedish passports travel to Iran.I have seen them. 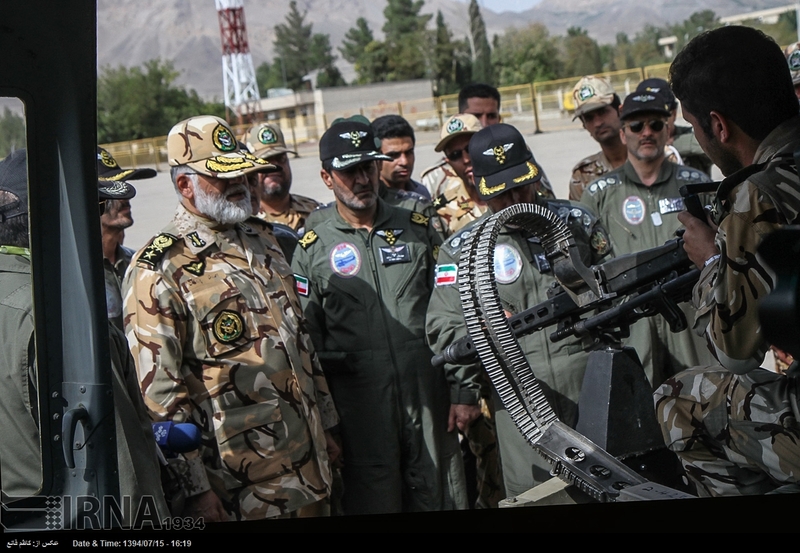 I think you might be wrong because the majority of Iran's fleet is indeed American (F-14, F-5 and F-4 plus helicopters, tankers etc.) from Shah time and as such Iranians in US and other American citizens have been caught for going to Iran and trying to get around sanctions.